In the hours after smoking marijuana, a small group of regular marijuana users at clinical high risk for psychosis experienced a temporary increase in psychotic-like states and a decline in neurocognitive performance. A similar group of marijuana smokers not at elevated psychosis risk didn’t experience these effects after using the drug. So far, what’s known about marijuana’s effects in high-risk individuals comes from people who report on the effects of their own use. 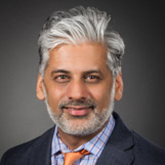 In the current study, Foundation 2008 Young Investigator Nehal P. Vadhan, Ph.D., now at the Hofstra Northwell School of Medicine, and colleagues including 2002 and 1999 Young Investigator Cheryl Corcoran, M.D., and 1998 and 1996 Young Investigator John G. Keilp, Ph.D., both at Columbia University Medical Center, set out to evaluate the acute effects of standardized marijuana cigarettes in a small group of high-risk individuals in the laboratory. The study examined six healthy controls and six people who, because they had previously experienced certain changes (unrelated to marijuana use) in thoughts, behavior, or perception, and may have had a family history of psychosis or recent declines in social function, were considered to have a high risk of developing a psychotic disorder in the next few years. All were at least weekly users of marijuana who were physically healthy, had minimal use of other illicit substances, and volunteered for the study. In this double-blind study, each participant made subjective measures of their mood and perceptions prior to smoking, and also completed neurocognitive and cardiovascular tests. After smoking, they repeated the tests. All 12 participants smoked both active and placebo marijuana (on different days). Following the active marijuana, participants in both groups experienced increased heart rates and reported feeling high, relative to the placebo marijuana. But while other measures were minimally affected by the active marijuana in the control group, the drug caused a temporary increase in psychotic-like states and a decline in neurocognitive performance for those in the high-risk group. These effects included increased feelings of paranoia, anxiety, visual illusions, strangeness, inattention and slowed time, as well as poor performance on tasks related to memory and response inhibition. This small study demonstrated the feasibility of studying marijuana’s effects in people at clinical high-risk for psychosis in a controlled environment, and suggests that marijuana may affect individuals at high risk for psychosis differently than marijuana users without such risk. Larger studies are needed to confirm and extend the findings.